Since last many months, Samsung Galaxy SIII is always in news and it is one of the most awaited phone of the 2012. There are lots of rumored features, concept designs etc. of Samsung Galaxy SIII are available on the Internet. But now, Samsung confirmed that the Samsung Galaxy SIII is gonna be launched on the 3rd May, 2012. 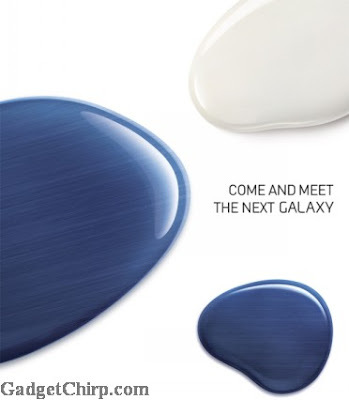 The official invites of the Samsung Event is out which talks about the launching of the next Samsung GALAXY smartphone. The name of the device is not mentioned on the invitation though. The event is just 2 weeks away from now. So if you are planning to buy a new smartphone then, wait a bit. Samsung Galaxy SIII is coming to you soon.